A woman can have twins by artificial means, but it could be very expensive as well as risky since the natural way is always the best option. 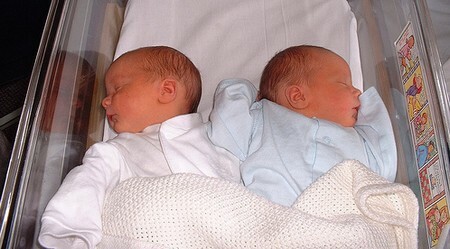 These days there is a growing number of women who conceive twins. There are many ways to conceive using the advancement of our medical technology today, but this article will tackle the natural ways that could raise your chances of conceiving twins. Study your genetic history. Conceiving twins will more likely occur if you have in your family a history of conceiving twins. Genetics are the biggest factor for a woman to conceive twins. Increase your chances of getting pregnant. Before thinking about conceiving twins, you must first increase your chances of getting pregnant. How do you do this? Months before you plan to conceive baby, start taking folic acid every day. You also need to put on more weight, quit smoking and stop consuming alcoholic drinks. In short, you must be extremely healthy. Eat foods that can increase your egg count. Yams are ideal to eat since recent studies show the skin of yams has compounds that cause hyper ovulation. Women who include this in their daily diet have a higher chance of conceiving twins. You can also try whole grains, walnuts, chicken and eggs. Wait until you are a little older. There is a 2% chance of conceiving twins when a woman is between the ages of 20 and 30. But for those between the ages of 30 to 40, there is a 6% chance for a woman to have twins. Having a lot of kids could help. Note that as you give birth to a lot of kids you increase your chances of conceiving a twin. Having a lot of kids causes you to gain weight, and gaining weight encourages your body to conceive twins. Stop taking birth control pills. A recent study showed some women’s ovaries start releasing more eggs after they quit taking birth control pills. This in turn will increase your chance conceiving twins. Ask your partner to get a sperm count check. Visit your family doctor and gauge whether your partner’s sperm count is considerably high in order for you to get pregnant with twins. If not, your doctor may prescribe medication for him to increase his sperm count. Increase your intake of foods that can maximize your chances in conceiving twins. Make sure you are healthy and fit before trying to conceive twins. You will need all the strength you can get giving birth to them.